On average, Americans who build any wealth, do it by owning their own home. In the long run, owning a home is usually better than renting for life. However, if you’re willing to “house hack,” owning a home could catapult your net worth immediately. Broadly speaking, house hacking is the art of having tenants pay for your primary residence. You can do that by renting out a spare bedroom on Airbnb, by living in one part of a multi-unit property, or by living with roommates. For example, my best friend bought a 4 bedroom house when he started in college at Arizona State University. He lived in the master bedroom, and rented out the three other rooms. This arrangement covered all his expenses - so he was not only building wealth, but living for free! 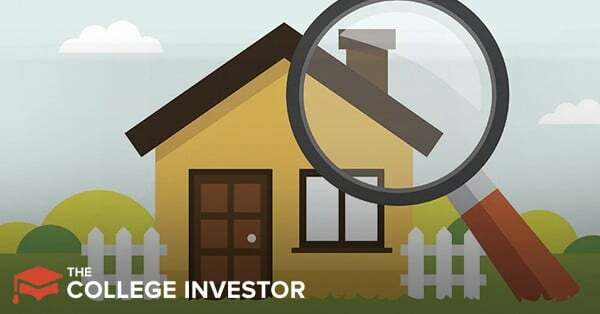 By choosing an unconventional primary house (or unconventional living situation), you can set yourself up for extremely low living expenses now, and massive cash flow expenses in the future. Think house hacking could be right for you? Here’s how you get started. Many young people shy away from real estate investing because you need a 20 to 25% down payment to get a loan from a bank. However, when you’re house hacking, you can get away with a tiny down payment. Rocky of Tampa, Florida and author of the finance blog 30-0, used a VA loan to purchase his first “house hack.” A VA loan is a loan benefit for veterans and active-duty military that allows borrowers to put 0% down on a primary home. After buying the house, Rocky moved in with two friends who paid rent to him. While he had two friends living with him, Rocky only paid $80 per month toward his mortgage plus a third of the utilities. If you’re considering house hacking, the best deals are VA and USDA loans if you qualify for them. These loans have high upfront fees, but they require a 0% down payment. Borrowers may also want to consider a 5% down payment conventional mortgage. Although you’ll pay PMI until you reach 20% equity, it’s still a lower-cost loan. FHA loans have high upfront funding fees, and ongoing annual fees. They allow for down payments as low as 3.5%, but they might not be worth the cost. If you’re serious about buying your first property, you can compare mortgage interest rates and loan options at LendingTree. Although it’s fairly easy to get financing for a primary house, not every house is equally “hackable.” Ruby Escalona and Peter Prokaj of Jacksonville, Florida, and bloggers at A Journey We Love, purchased a three-bedroom, two-bathroom townhome. By purchasing a larger house in a more desirable neighborhood, Escalona and Prokaj have had a lot of success hacking their house. On average, revenue from Airbnb guests cover 85 to 90% of their mortgage and costs, plus they get to deduct certain expenses from their taxes. Rocky had a similar investment mindset when he purchased his house. He purchased a four-bedroom house that he knew could pass the “1% rule” where the gross rent is at least 1% of the house’s value. He also bought the house, knowing that he would share it with roommates. He considered the layout of the common areas, how solid the bedroom doors were, and other factors to make sure it was a place where he felt comfortable living. If you decide to purchase a multifamily home, you’ll need to be sure that the house can meet cash flow needs if you decide to leave the property (to take on a new job or because you want a different house). Although using roommates to cut down on your living expenses makes a lot of sense, you do not want to be stuck in a property that is cash-flow negative. Parents commonly object that raising kids makes house hacking impossible. Our staff writer Hannah had firsthand experience that proves that is not the case. She bought her current house when she had a toddler. She specifically bought a split-level house with a bedroom and bathroom in the basement so she could rent it out if she found the right person. After living at her place for just one week, a friend approached her asking to rent out her basement. It was a perfect fit. He’s been living there with her now two kids, and his rent covers most of her housing expenses. If this sounds interesting to you, check out how to get started listing your house on Airbnb. If you’re going to get into house hacking as a wealth-building strategy, then it’s important that the money works out in your favor. In particular, you need to save money while you’re living in the property and have the option to turn it into a cash-flowing rental when you decide to move. You don’t want to count on growing equity (especially in multifamily properties). The following are the three calculations you should do before buying a house to hack. The 1% rule states that a rental property should have a gross rent equal to 1% of the property's value each month. If a property is worth $100,000, then it should have a fair-market rent of at least $1,000 per month. A property worth $400,000 should have a fair-market rent of at least $4,000 per month. Since you’re planning to live in this property, the property doesn’t have to achieve the 1% rule with you living in it. Instead, you should evaluate the property as if you were going to rent out the whole property to a third party. Depending where you live, the 1% rule may sound impossible to achieve. That’s when it makes sense to start looking at multifamily rental properties. Multifamily properties often allow you to achieve higher rental income relative to the value of the property. If you’re planning to rent out the property on Airbnb, make a conservative estimate on your occupancy and rental rate. You don’t want to assume you’ll have visitors 30 days per month all paying full price. If you find a place that passes the 1% rule, it’s time to see if your property has a positive net operating income. This number shows about how much cash you can expect to earn after you’ve paid off the mortgage. Expected rental income* (say $1,000 per month) = $12,000 per year. Vacancy rate (say 10%) = −$1,200 per year. Property taxes = −$1,200 per year. Property insurance= −$600 per year. Shared utilities (if any) = $0. Other expenses (such as HOA, etc.) = −$2,400 per year. Total = $6,600 per year. *Use the expected rental income if you weren’t living in the property. This property earns $6,600 per year before you pay principal and interest on your loan. If the property in question is worth $100,000, this property has a cap rate of 6.6% per year. This means you can earn a maximum of 6.6% (plus the increase in the value of the house) per year once you’ve paid off the mortgage. Since you’re living in this unit, you should calculate your cap rate based on living in the property too. Use the same equation, but instead of the expected rental income being based on fair-market value for the rental, consider what you actually expect to charge your tenants or roommates. For example, you might have two roommates who you charge $400 per month, each. In this situation, your rental income would be $800 per month or $9,600 per year. Expected rental income* (say $800 per month) = $9,600 per year. Vacancy rate (say 10%) = −$960 per year. Property insurance = −$600 per year. Total = $4,440 per year. *Based on the expected rent from roommates or tenants while you’re house hacking. In this example, during the house-hacking period, you will achieve a 4.44% cap rate on a $100,000 property. The cap rate you need to achieve will depend on your goals for the property. For house hackers, I would look for a cap rate of at least 3 to 4% with the actual rent. Using the imputed metric, you’ll probably want to see at least 5%, but you might want to seek something closer to 7 to 8% if you’re an aggressive investor. If the cap rate works in your favor (as in the example above), it’s time to really consider if this is the property for your house hack. In general, rental property investing is about cash flow, not about equity growth, so you need to focus on earning cash month in and month out. I recommend calculating this two ways. First, calculate the annual cash flow based on the actual rent you expect to receive from roommates or tenants. This number might be negative, but it will give you a good idea how much you’ll actually pay for housing. Next, calculate the actual cash flow based on the rent you could receive if you weren’t living in the property. Actual net operating income (from previous section) ($4,440) divided by 12 = $370 per month. Monthly mortgage payment ($100,000 financed at 3.92% for 30 years) = −$473. Total = −$103 per month. In this example, the owner of the property has to pay $103 toward housing expenses (plus their share of utilities). Of course, when you move out of the property, you need the property to earn money for you month in and month out. In this case we do the same calculation, but we use the imputed operating income (the net operating income if you weren’t living in the property). Imputed net operating income (from previous section) ($6,600) divided by 12 = $550 per month. Total = $77 per month. What Type of Cash Flow Do You Need? As rental rates in your area start to rise, your cash flow will slowly rise with them (in most cases), so you don’t need a huge amount of cash flow to start. In an ideal world you want an imputed cash flow of at least $100 per property, but higher is better. Since you plan to “hack the house” and live in the property for several years, you might be okay accepting a smaller monthly cash flow. Just be careful with this. It’s pretty easy to overestimate your net operating expenses, so a small amount of cash flow can be eaten up by unexpected expenses including vacancies or repairs. House hacking can be a fantastic way to start building wealth with real estate in an unconventional way. However, you do have to be comfortable with the fact that you're not going to be conforming to "traditional" social norms. If you're okay with an unconventional lifestyle, this can be a great way to start building wealth early. 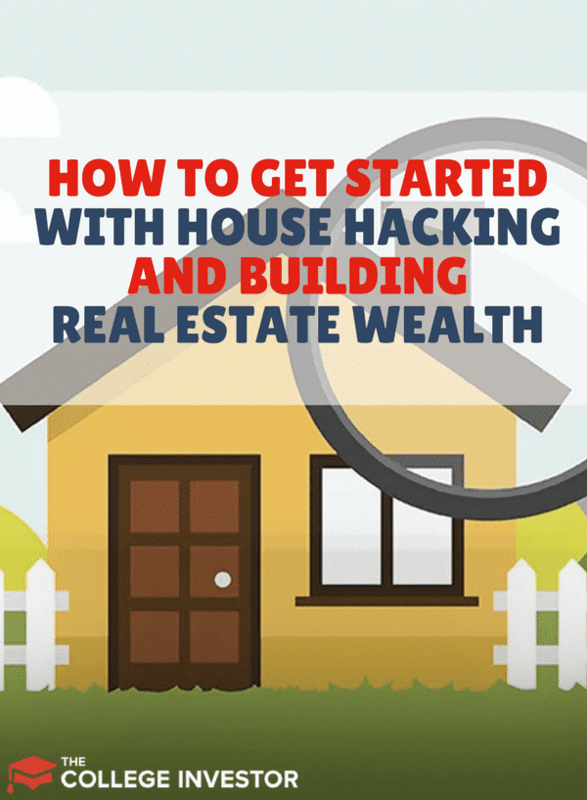 “house hacking” is a good way to get started on your real estate investment journey. it allows you to develop capital for other real estate investments much quicker. Yes! I think it’s important to remember the speed aspect of building wealth. More, earlier!